HBO REBOOTS ROBOTIC SCI-FI THRILLER "WESTWORLD!" WHAT COULD POSSIBLY GO WRONG...GO WRONG...GO WRONG? 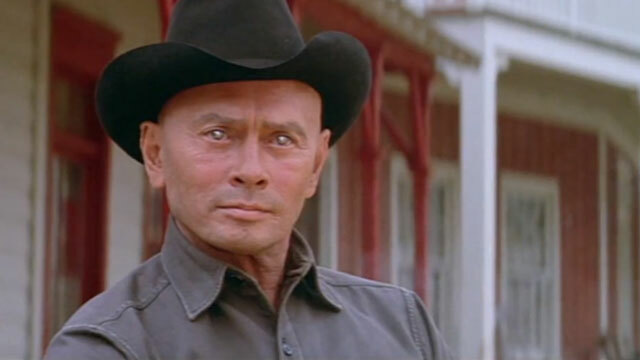 HBO is rebooting the 1973 sci-fi classic "Westworld." The film is about a virtual-reality theme park that features life-like androids created to give vacationers an adventure to remember--that is until they malfunction! In the original film, Yul Brynner plays a insane robot-gunslinger and Josh Brolin and Richard Benjamin are the unsuspecting vacationers. Sci-fi certainly seems to be the "flavor of the month" in television line-up in 2013 and 2014. With NBC's 'Almost Human', SyFy's 'Helix', CW's 'Tomorrow People' and a bevy of other shows beaming down to television it would seem that Hollywood has heard the fan's cry for a sci-fi presence on television and answered with a bright green light! [size=18]HBO has committed to producing a 'Westworld' television pilot and it'll be produced by Hollywood's current movie guru J.J. Abrams. The pilot will also be written and direct by 'The Dark Knights' Jonathan Nolan! With this dynamic duo and HBO what could possibly go wrong...go wrong...go wrong? NOT A DARN THING! In fact, I think HBO is on there way to another award winning series. The original film was written and directed by Michael Crichton, who later took the theme park gone-horribly wrong to a new level in Jurassic Park. In 1986, CBS attempted to turn Westworld into a show, but it was cancelled after only five episodes. However, it managed to get two Primetime Emmy nominations for Art Direction and Makeup. » Is this a good opening chapter for a thriller?